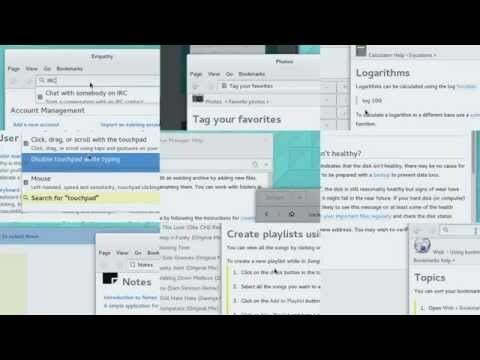 The GNOME Documentation Video has now been released on youtube and as a download (Ogg Theora + Vorbis). This is something I have been waiting for since I finished working on it a few weeks ago. A big thanks to Karen for providing a great voice-over for the second time! Translated subtitles are not online just yet for the video, but should come within the next few days (thanks to pmkovar and claude for setting this up!). I’m looking forward to see the response from the community. I read every comment made and try to collect and direct them to the right people. 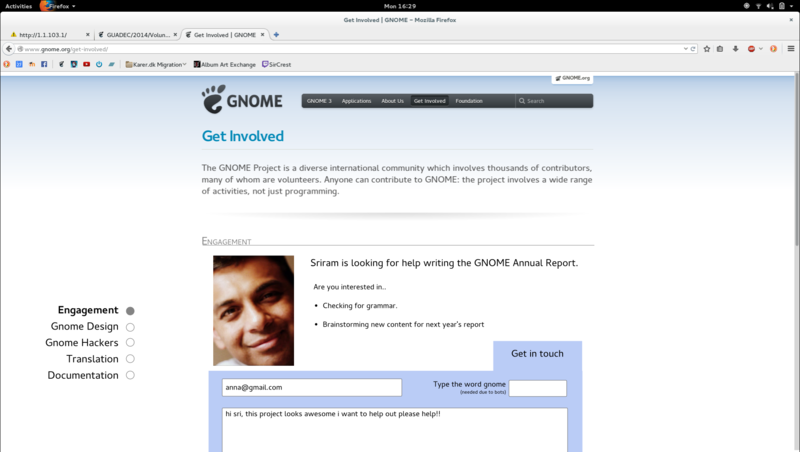 Next upcoming GNOME video from me would be the 3.14 Release Video. Since the release date is approaching I’m already working on the manuscript and hopefully I can send it off to Karen soon for voice-over. Alexander Larsson was also kind enough to send over one of GNOME’s Chromebook Pixels I had signed up for. Provided that I can get Fedora 21 with 3.13 installed on it, I might be able to record video in a 2560×1700 resolution. This has some technical advantages like green-screening video and throwing it into Blender’s 3D space and other crazy things ( woohoo!). In the meantime I’m also messing around with some design for Polari and a GNOME flyer I intend to hand out to the new students at my university. I’m predicting September to be a busy but fun month. I have now made my way home with a lot news to bring you about my experiences at GUADEC 2014. I gave a lighting talk! I showed briefly the steps to go through when making promotional videos and gave a sneak peak of the soon-to-be-released documentation video. I also had a good talk with Petr about translating video subtitles. This had lead to a git repository called “video-subtitles” in which I’ll upload subtitles for the translation team to translate. The last days of GUADEC I began to work on some animation templates for recycling and I plan to expand this collection. During the conference I received a lot of positive remarks on the 3.12 release video. It makes me very happy that so many people appreciate the promotional videos! I’m definitely motivated to do more. 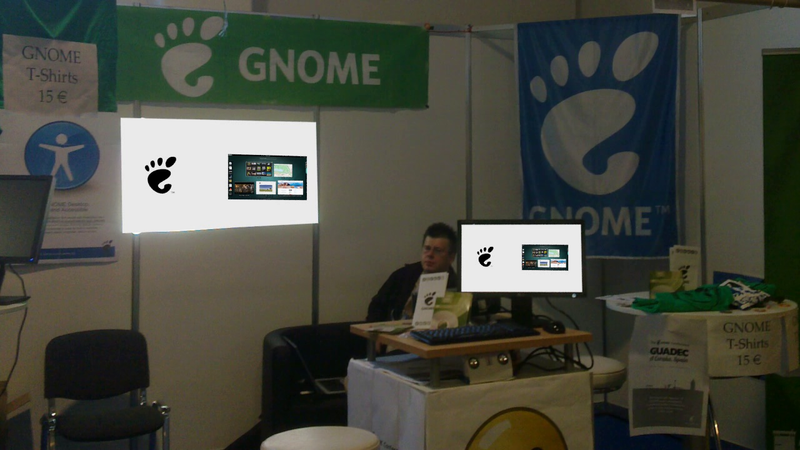 An idea for a future promotional video: A passive repeatable video which can run on computer screens at GNOME booths during conferences. Original Image by Tobias Muellner. Karen’s talk inspired me to do some design concepts for our website. I made a mockup for our donation page and for “Getting involved”. During the Engagement BoF we discussed how these pages and the front page could be improved. Allan, Fabiana and Andreas began working on a mockup for the front page on the whiteboard, structuring the information based on importance. Hopefully we’ll begin to see site improvements within the coming months. My proposed concept design for “Getting Involved”. Note that the concept represents my own personal idea, not the consensus of the engagement team. Before I left I was working a bit on the design of the generated avatars as they needed revision. I updated the tentative design with a second revision, simplifying them a bit. I asked Allan for feedback and he began a journey to find a more suiting font to write the generated initials with than the one I had found. The tricky part in this is to find a suiting font which also has a large coverage of unicode characters, for free. I had to leave before Allan settled on any final font, though, but I heard that him and Garett worked further on the revamping the font and colors. My initial generated avatar proposal, which since then has been revamped by Allan and Garret in terms of font, colors and style. I made some great experiences while volunteering at GUADEC. I was volunteering Friday, Saturday and partly Sunday as backup. I have also volunteered for doing video editing of the GUADEC talks in collaboration with Alexander Franke, so expect to see them up on guadec.org soon! GUADEC was a great opportunity to meet other members and friends of the GNOME community. I met a lot of interns while volunteering and met many other new faces when going for dinner in the Strasbourg. I also had a chance to meet with designers from gnome-design and members of the engagement team. The venue was located very centrally in Strasbourg with many restaurants, bars and shops nearby. Furthermore, the GUADEC organizers had organized events in the evenings such as a picnic and playing snooker. Now I am exhausted. It is nice to be home again and I am bringing a lot of experiences with me. 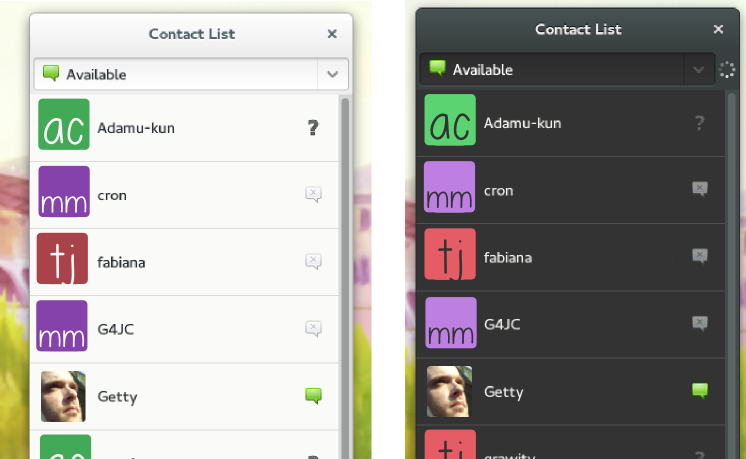 I’ve put faces on a lot of names I only have encountered in IRC. I’ll probably be sending a mail or pinging one or two of you in the coming weeks. 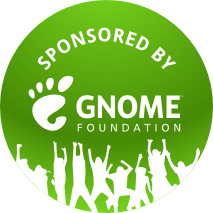 A big hug goes to GNOME Foundation for sponsoring me. Thank you!